Can an ordinary box really become a light? Filter is a highly intelligent, flexible, zero waste light designed for cardboard and acrylic applications that entices the user to interact in myriad ways. 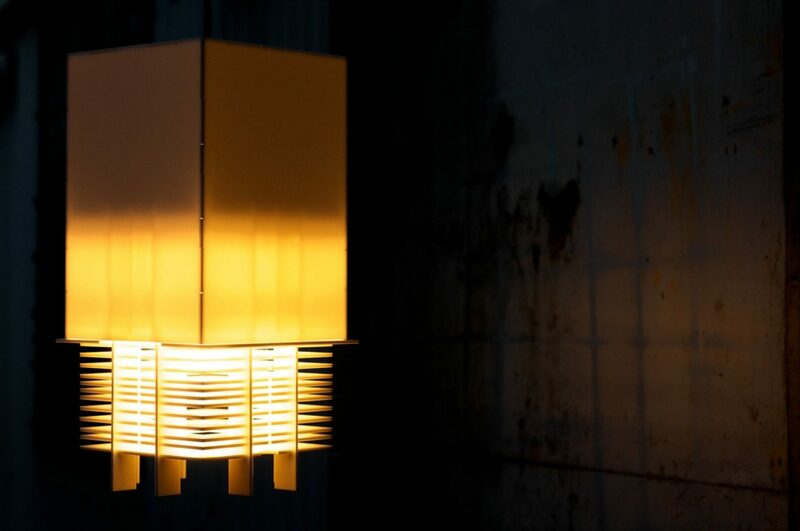 Created for the LightCycle 2011 competition, Filter Light features a series of laser-cut fins concealed within the lampshade element, designed to enable multiple configurations of the light. Through these interactions, each user has the opportunity to explore and alter the material quality of the light, creating their own aesthetically unique lighting design. By combining the product with its packaging, the design also filters out the excesses associated with consumer goods. In its original form, the light was created to encourage people to interact with the materials involved in making a product and reflect on the product’s life cycle. The prototype of a tabletop light in cardboard was developed into an acrylic solution, but ultimately the design is adaptable to wood and metal materials, as well as pendant and floor lamp formats. Core to the design intent is the manual dimming capability of the light through changing the length of the light, thereby transforming the footprint and ambience created. There is no single version of Filter Light because the design allows each end user to construct their own piece in a variety of ways. Against some stiff competition, Filter won Fifth place and the People’s Choice Award in the Electrolight LightCycle 2011 Edition.